NORTHERN Ireland’s top health officials have been questioned over the reliability of a key reporting mechanism designed to ensure patient safety in hospitals, The Detail can reveal. Hospitals are expected to record any incident connected to the serious injury or death of a patient in what are called Adverse and Serious Adverse Incident reports, so that lessons can be learned. But in a letter obtained by The Detail, the chairman of an inquiry into child deaths in hospitals here has said he has “significant concerns” about inconsistencies in how the data is recorded. Mr Justice John O’Hara cited records revealing that the South Eastern Trust recorded 73 adverse incidents during the 2012/13 financial year related to “administration and management”, while the Belfast Trust recorded none. The South Eastern Trust reported 778 adverse incidents under the heading “treatment and intervention”, while no other trusts reported a single one. In the letter Mr Justice O’Hara, chair of the Hyponatraemia Inquiry, raises concerns over whether these key safeguards are “capable of meaningful analysis”. The letter was sent to Andrew McCormick (Permanent Secretary of the Department of Health), Colm Donaghy (Chief Executive Belfast Trust), Glenn Houston (Chief Executive Regulation Quality and Improvement Authority) and Fionnuala McAndrew (acting Chief Executive Health & Social Care Board). In the letter dated March 27 2014, Mr Justice O’Hara said there is a “fundamental and worrying point” about whether or not there was consistency in identifying and categorising Adverse and Serious Adverse Incidents. “Surely this must make it infinitely more difficult to identify trends and to learn more from incidents which have occurred? Therefore what is the value of the current arrangements? “Who is responsible for identifying inadequacies in the SAI system and taking forward effective programmes for change? What steps are being taken to ensure uniformity of reporting and implementation of a unified system involving consistent centralised reporting across all trusts? In Northern Ireland hospitals an Adverse Incident (AI) is “any event or circumstances that could have or did lead to harm, loss or damage to people, property, environment or reputation”. If an incident results in the serious injury or unexpected death of a patient then it should be considered as a Serious Adverse Incident (SAI). The purpose of SAIs is to provide and share learning from serious incidents. These incidents are those serious enough to require regional action to improve safety, or be of major public concern or require an independent review. Since October 2013 the death of any child in receipt of health and social care services should automatically be considered as an SAI. A covering letter from the Department of Health that accompanied the data provided to Mr Justice O’Hara stated: “There may be some differences in how Trusts are applying the coding classification and the Department, in conjunction with the Health and Social Care Board (HSCB) and Public Health Agency (PHA), are engaged in a project which will deliver a greater level of consistency around this. In a statement to The Detail both the Health and Social Care Board and the Department of Health said they would be replying to Mr O’Hara’s letter in due course. The Hyponatraemia Inquiry is examining the deaths of five children who died in hospitals in Northern Ireland between 1995 and 2003. The public hearings ended in November 2013 and Mr O’Hara is currently in the process of finalising the report. For more background information on the issues being examined by the Hyponatraemia Inquiry click here. Mr O’Hara’s latest comments come as the Health Minister, Edwin Poots, yesterday announced that the former Chief Medical Officer of England, Professor Sir Liam Donaldson, would advise the department on the improvement on governance arrangements across the health sector. Speaking in the Northern Ireland Assembly, Minister Poots said he had instructed each health trust to review all SAIs reported between 2009 and 2013 and also asked the RQIA to review adverse incident management. 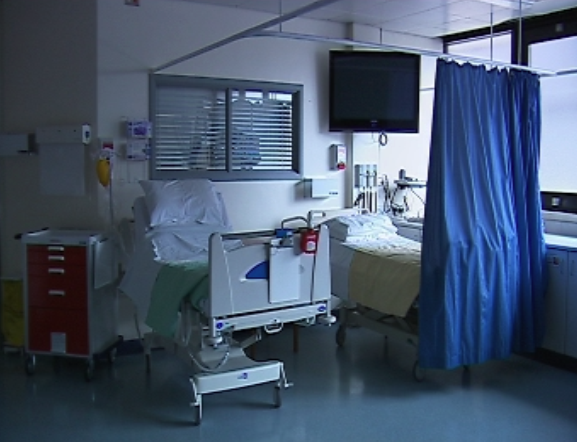 The Minister’s announcement follows a series of crises to hit the health service here. Last month Mr Poots announced a major review to examine a string of hospital tragedies in the Northern Health Trust, including child deaths and the failure to report serious incidents to the coroner. The Detail subsequently revealed further concerns over the monitoring of hospital deaths, with almost 60 controversial deaths reported late to the coroner across Northern Ireland over the last three years, despite a legal obligation on doctors to do so promptly. In a further story we also revealed that Attorney General John Larkin had written to the Justice Committee seeking new investigative powers to force the release to his office of records linked to hospital tragedies, such as Adverse and Serious Adverse Incidents. Responsibility for SAI procedures lies with the Health and Social Care Board (HSCB).